Clicking submit will submit your full profile to ResortsandLodges.com. ResortsandLodges & TRACK Hospitality Software is looking for an experienced sales professional who is a highly motivated top-performer with a successful history of selling to the C-Suite within multi-million dollar businesses. Sell hospitality specific digital marketing and cloud-software solutions to the top vacation-properties within assigned territory. Identify net new revenue opportunities with prospects & existing clients. Drive large-scale deals to close and continue working with client base to develop upsell & cross-sell opportunities. Discover, develop and manage business relationships with targeted prospects to help solve problems and sell our products and solutions. Uncover problems and pain points through effective questioning and rapport building, while understanding their strategy for marketing, technology, and distribution. Apply industry experience and understanding of hotels, resorts and property management customers needs to effectively understand the best solutions to recommend. Excellent rapport building at the C-suite level via face-to-face, phone, email, text, events, and social media. Responsible for full sales cycle from proactively generating a lead, managing a quality pipeline of prospects, to closing. Engage in cross-department communication and relationships with key product and customer success managers. Manage the customer relationship after the sale and ensure a smooth transition through implementation, to ongoing support. Build a customer portfolio, maintain a high level of retention and upsell our hotelier and property software solutions. Provide market trends and feedback to assist with product development and implementation activities. Strong hospitality software industry experience as well as multiple years of solution selling experience across a broad spectrum of hospitality specific products and services. You have a naturally optimistic disposition, are driven, think outside the box, find your own answers to solve problems and are unafraid of failure. You have 5+ Years of Solutions Sales with a focus on the Hospitality Industry (Hotels/Resorts/Vacation Rentals) including Software and/or Digital Marketing. CRM Sales, Cloud Communication Sales, Property Management System experience, SEO or web consulting a plus. You enjoy traveling 25% – 50% of the time to meet with clients face-to-face in resort destinations and internationally if necessary. You have the ability to work remotely and stay focused. We aim to revolutionize the independent travel market online and define success as a team. Our ideal candidates are comfortable in a fast-paced tech or SaaS startup environment, adaptable to change, and highly competitive. Career Path: Solutions Consultant, Sr. Solutions Consultant. ResortsandLodges.com is a leader in digital marketing, distribution and technology for independent resorts, lodges, hotels, ranches and vacation rental managers in North America. 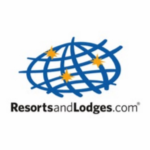 With over 2,000 customers in 200+ markets throughout the US and Canada, ResortsandLodges.com helps top unique lodging properties increase revenues and direct bookings with a suite of industry-leading cloud software products and professional services including TRACK CRM, TRACK PMS, ResortsandLodges.com and Business Solutions.